The Bollywood wedding marathon is in full swing and a lot of the loving eligible bachelors of the country are tying the knot this year. 2018 can be easily named as the year of fairytale Bollywood weddings. It started with #Virushka and now, all our eyes are fixed on #Deepveer, yes, we are talking about the stunning power couple of Bollywood- Deepika Padukone and Ranveer Singh. Their wedding rumours were floating in the air since the beginning of the year and just a few months back the duo confirmed the news. While the entire country is now waiting to get a glimpse of the royal wedding of this real-life Bajirao-Mastani, the travel bug in me cannot stop but admire the breathtaking wedding venue and decor. The two-day long wedding is going to take place today and tomorrow. The duo will take their wedding vows in the presence of their families and close friends by the Lake Como in Italy. If you aren’t already aware, #Virushka also tied their knot in the gorgeous heritage villa of Borgo Finocchieto in Italy! Needless to say, Italy is giving us major wedding and travel goals with all that glamourous Bollywood weddings. 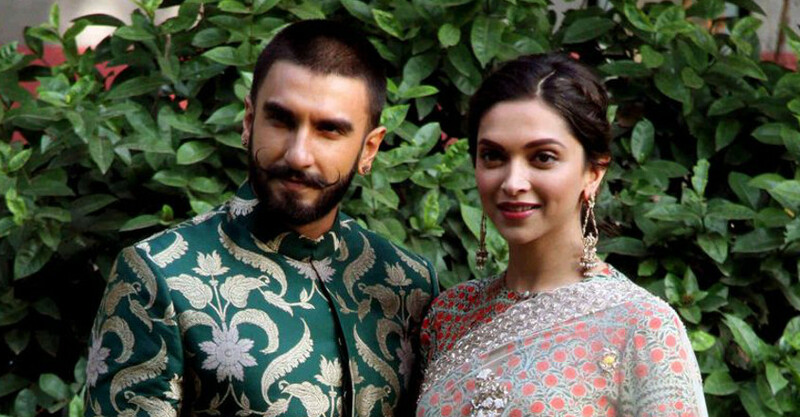 Coming back to #Deepveer’s wedding, the celebrations kicked off on 12th November with the traditional Mehendi and Sangeet ceremony. Ranveer’s ceremony took place at the CastaDiva resort while Deepika’s ceremony was held at Villa d’ Este about 5 kilometres away. 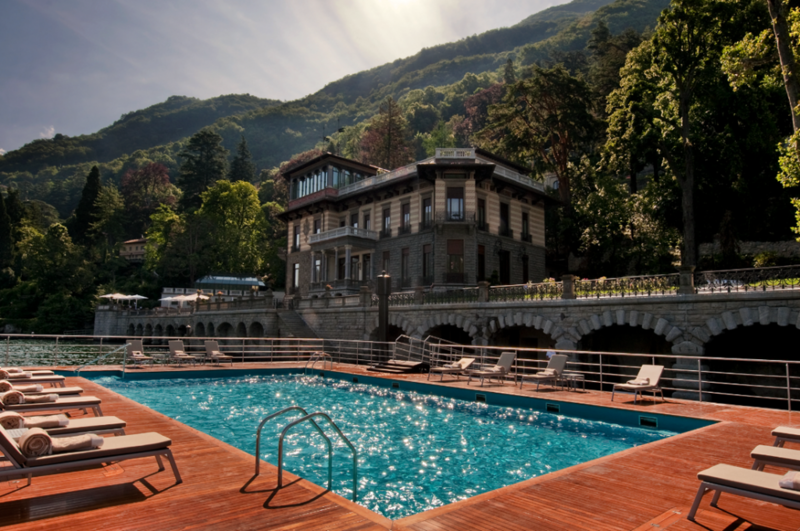 The Casta Diva Resort and Spa is located on the shores of Lake Como. This five-star property is equipped with 73 rooms, including 58 suites and 2 spectacular private villas. 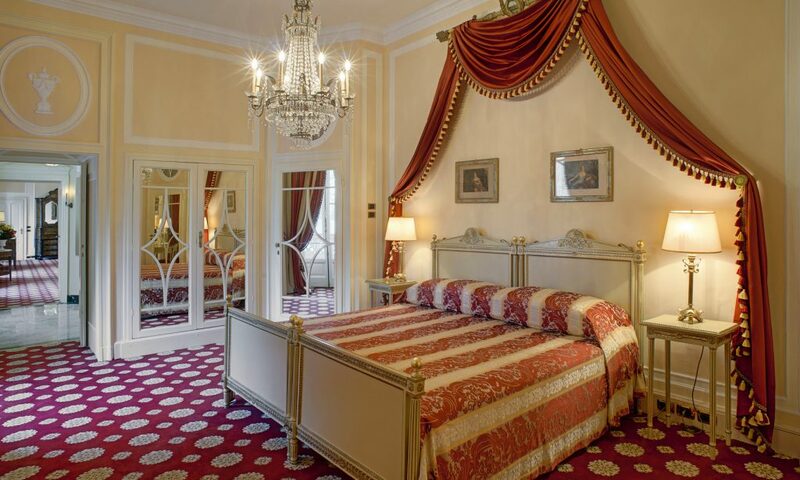 All the rooms are large & spacious with an airy layout and reflect the magic of the classic Italian architecture. 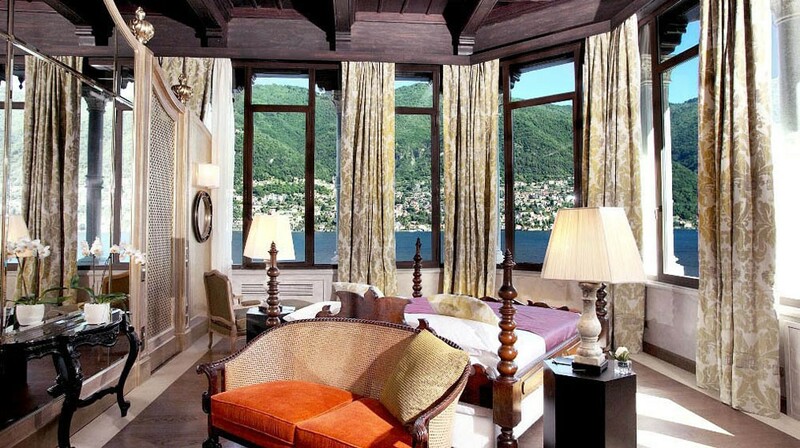 The large sliding glass doors and windows open up to the stunning view of the Lake Como. The resort also has 2 Italian restaurants and a dedicated fitness centre and a destination spa that is spread over 1300 square metres. 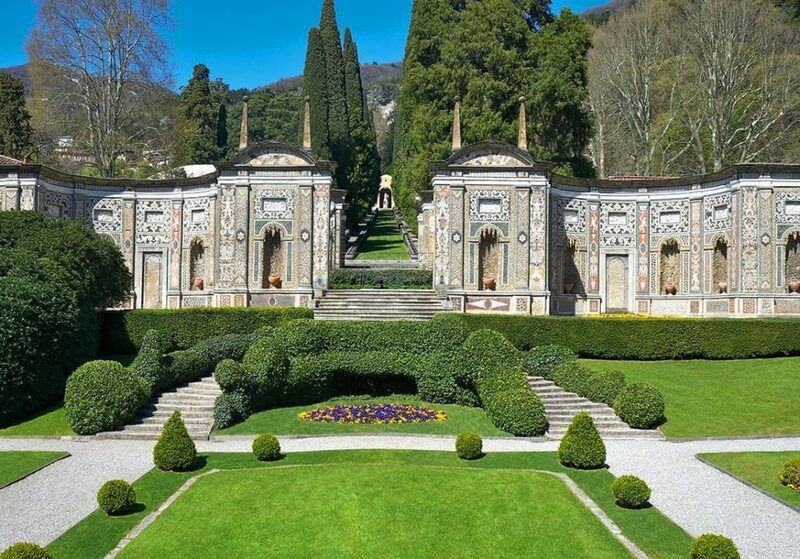 The Villa d’ Este is also located near Lake Como and is surrounded by a wonderful 10-hectare private park. The villas and suites in this five-star property are divided into two buildings: the Cardinal Building and the Queen’s Pavilion. true to the names, these rooms look nothing that less the Queens abode. Traditional Italian architecture not only adorns the interiors of this marvellous property but also on the outside. Each room opens to a private balcony that gives a lovely view of the lake. 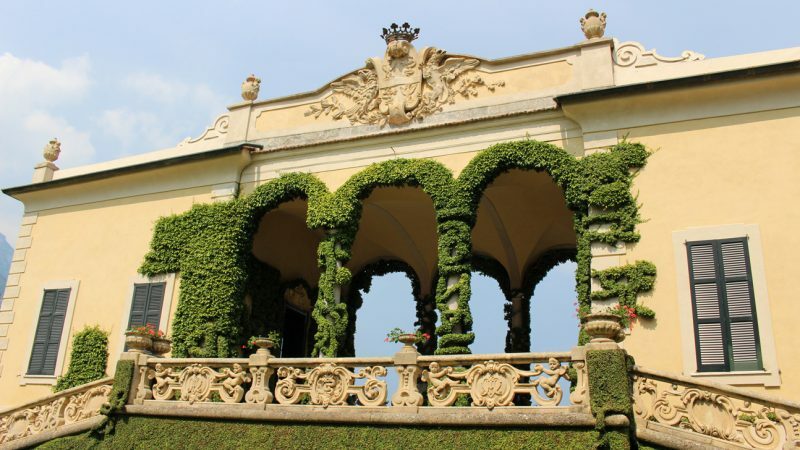 Coming to the wedding venue where the main ceremony will take place, it is happening at the Villa del Balbianello at Lake Como in Lombardy, Italy. 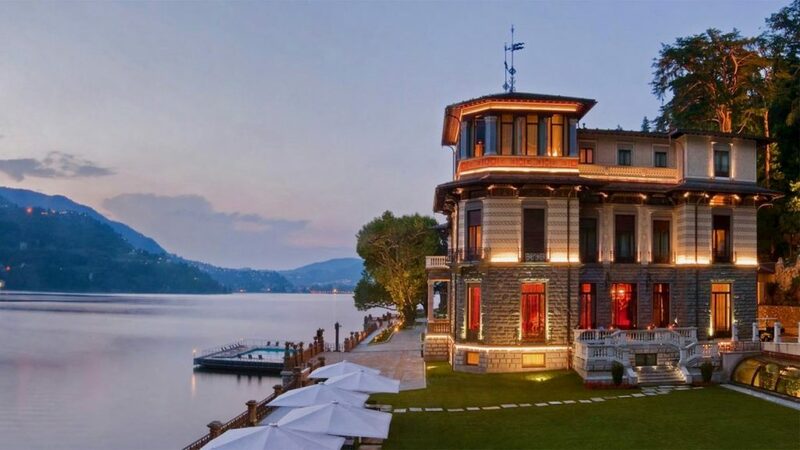 It is the most exclusive wedding venue in Lake Como. One can reach the dock of the Villa del Balbianello on a private boat or a waterplane and if the rumours are true, Ranveer is going to come with his Baraat on a waterplane in style. The exit from the dock is characterized by detailed wrought iron gates with four pillars. 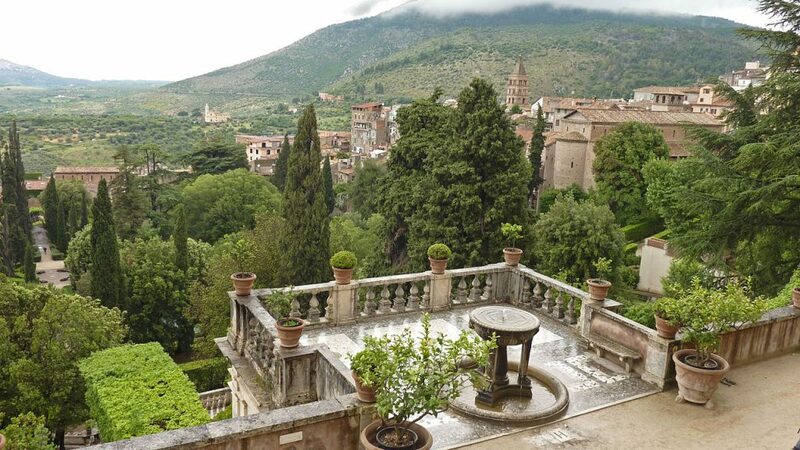 Gorgeous Italian style lush gardens surround the entire villa. The well-maintained and elaborate terrace garden is one of the most spectacular things about this venue. 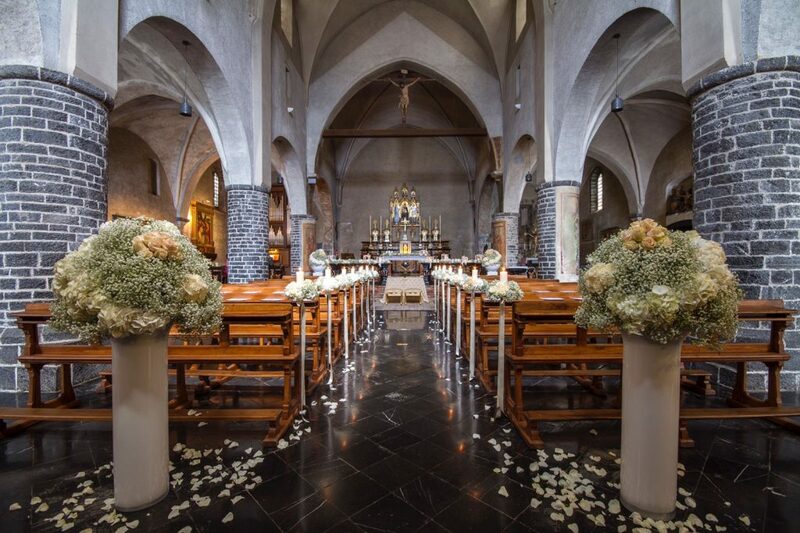 The interiors are decorated with exotic white flowers and fresh green foliages to celebrate one of the most important weddings of the year. It is said that the couple shelled out 5.7 lakhs INR to get the venue decorated with the best quality white roses! For the 2nd day of the ceremony, the venue is set to be decorated in an all red theme. Due to strict security installed by both the families, much info about the wedding is still not available. 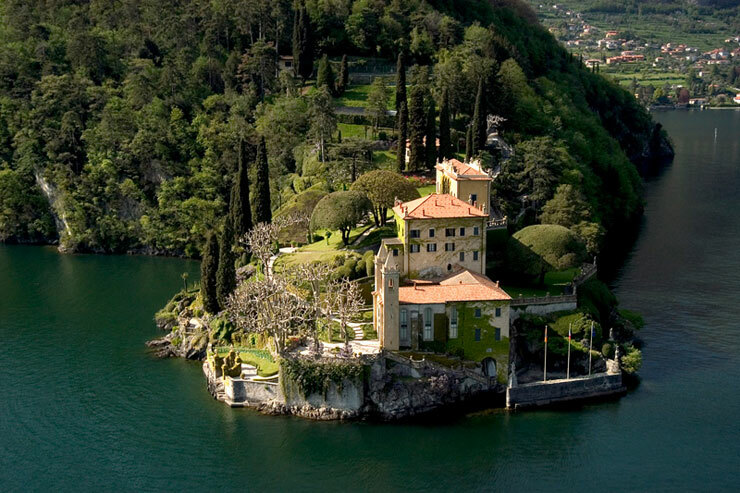 With all that said, I cannot wait to fly to Italy once in my life and get a glimpse of this amazing Villa del Balbianello on the shores of Lake Como. The luxurious pictures of this villa are already making me weak on my knees and I cannot wait to see more pictures from the #Deepveer wedding. Our best wishes to the lovely couple for their wedding and I cannot wait to see where they go for their honeymoon! If you are getting married soon, do check out the Pickyourtrail website where you can choose some of the most exotic and exciting honeymoon packages to celebrate the beginning of the journey of a lifetime. Meanwhile, let me sit down with a cup of coffee and check the pictures of #Deepveer’s wedding venue for the 1437th time!